A very fragrant rarer form of the popular evergreen climber, producing clusters of 25mm white flowers in mid-summer. 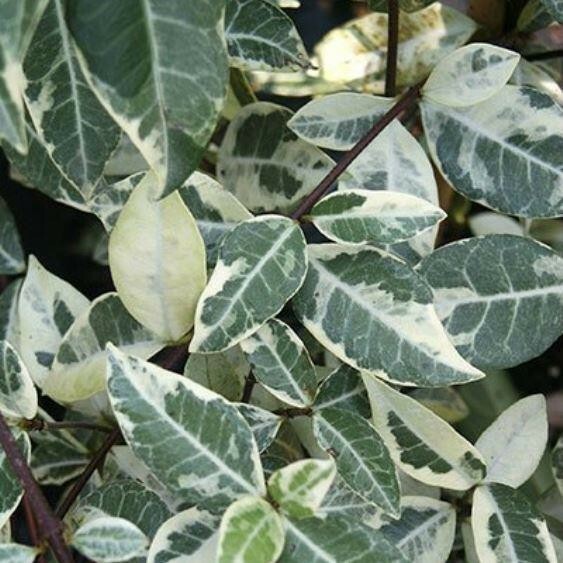 The striking creamy yellow variegation makes a vivid contrast to the green centres. Plant in a south facing position for best results. Supplied in approx 2-3 litre containers.